Avoid missing out on lost revenue and save time with Smart Charges. Click on the "Smart Charges" tab in the left settings navigation. Additional Pets: Charge a fee for each additional pet in the same household. Cancelation: Charge a fee for cancelations when they occur within a specified time limit. 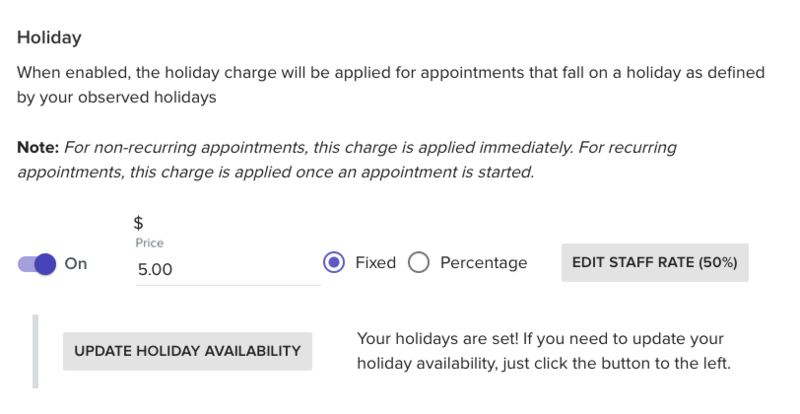 Holiday: Charge an additional fee when a primary service occurs on a specified holiday. Last Minute: Charge a fee for appointments requested by a pet owner or scheduled by an administrator within a specified time limit. Weekend: Charge a fee for primary services scheduled on weekends. 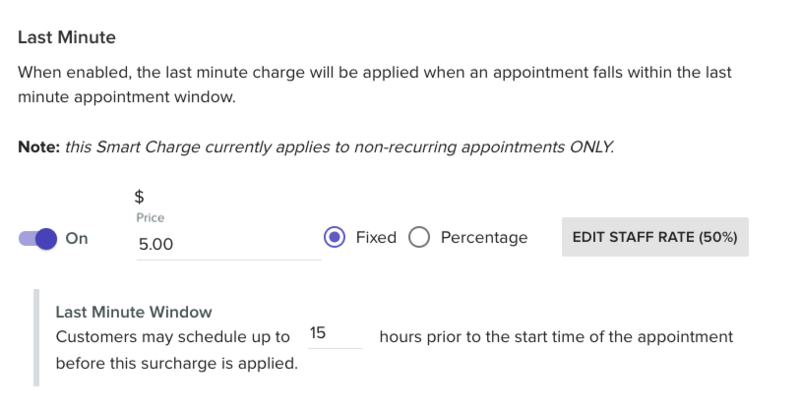 Note: The smart charge and payroll rates you set in this section are global, meaning they are the default rates for surcharges and staff payroll rates. You can override these settings in the staff and customer cards. You can find more information about overriding global prices for pet owners here and payroll rates here. * Surcharges do not appear in the Staff Mobile App Report Card.